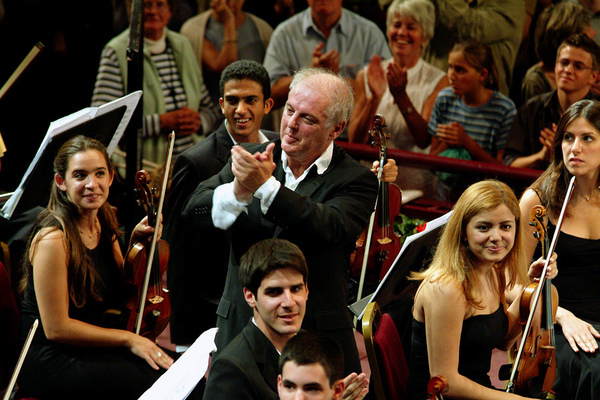 For many years, conductor and pianist Daniel BARENBOIM has worked towards reconciling Arabs and Israelis. Based on the notion that “music is the language of peace”, BARENBOIM and comparative literature professor Edward SAID brought together Arab and Israeli musicians, to perform in Weimar. Also participating in this bold experiment in 1999 was Yo-yo MA. The West-Eastern Divan Orchestra, a name derived from a collection of poems by Goethe, today embraces Arab and Israeli musicians aged thirteen to twenty-six. Director Paul SMACZNY has followed the orchestra since its inception. 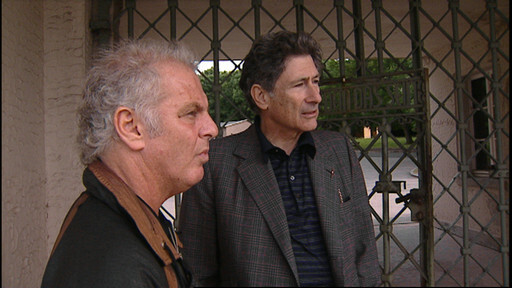 The film chronicles all five summer workshops in Weimar and Seville, BARENBOIM’s visit to Ramallah and Jerusalem in May 2004 – during which he received the prestigious Wolf Prize at the Knesset – as well as the sensational concert in Ramallah in August 2005.